PragerU brings this lawsuit to stop Google/YouTube from unlawfully censoring its educational videos and discriminating against its right to freedom of speech solely because of PragerU’s political identity and viewpoint as a non-profit that espouses conservative views on current and historical events. Hopefully, the average fifth-grader could inform PragerU and its attorneys that the First Amendment prohibits only the government from censorship. Presumably a third-grader knows that Google isn't government. Predictably, four months later (March 26, 2018) the judge dismissed this suit after consuming considerable resources that we all paid for. US District Court Judge Lucy Haeran Koh ruled that neither Google nor YouTube were “state actors.” Duh. Defendants are private entities who created their own video-sharing social media website and make decisions about whether and how to regulate content that has been uploaded on that website. The judge's quotes in the second paragraph relate to language in established precedents. 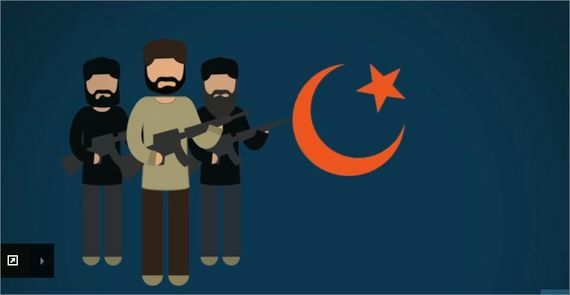 PragerU appealed to the 9th Circuit Court of Appeals. They are going to lose. They know that they are going to lose. Now they are suing in state court. I received notice of the new litigation with a link to a Donate to Prager University page. Prager causes me to wonder. Do they really expect any court to side with them or is this a public relations stunt designed to attract “students” and donations? Taxpayers are paying court costs for what I think is a frivolous action. Donations are tax deductible (PragerU is a 501(c)3) which means that taxpayers subsidize those gifts. It's clear that Google is not backing down. But don't worry, neither are we. YouTube calls itself a "public forum." It builds its ENTIRE business model on the claim that it is a "public forum: committed to fostering a community where everyone's voice can be heard." Yet, it defrauds the public by censoring speech it doesn't agree with. We can't do this alone. Join us NOW and become a critical piece in this fight by donating today. According to PragerU, YouTube has zapped 80 of its videos. That is their prerogative. PragerU and its attorneys must know that this suit will also be dismissed. Private platforms can establish acceptable use standards and they are not subject to anyone else's approval. This is clearly abuse of process; a perversion of the judicial process to obtain a result unrelated to the litigation. Alphabet (parent company of Google and YouTube) is going to hit back hard. Their aim will be to deter anyone else from doing this. In calendar year 2017, the Prager University Foundation reported total income of $12,239,056 and ended the year with assets of $8,382,392. The tax return (form 990) is not yet available on Guidestar. .